Here are the copies of the Agile Learning newspaper, of which I took delivery this afternoon. You can read the full text at the foot of this post, after the links which augment the physical version of the newsletter, including the unabridged versions of the interviews. If you'd like to keep in touch and find out more about the ideas in the newspaper, there are several things you can do. Tell us what you'd like to see next via the Agile Learning survey. Follow Agile Learning on Twitter, Amplify or Facebook. And if you're near London, please join our meet-up group on Facebook or GroupSpaces. 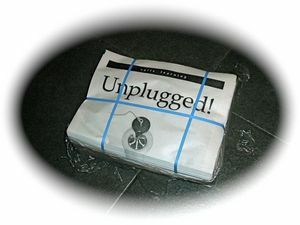 Limited copies of the newsletter will be available at these events in the next few days: Tuttle Club tomorrow, the TEDxOrenda event next Wednesday, the Be Bettr conference next Friday, a few spots at the Learning Without Frontiers conference — and, of course, the next few Unplugged meet-ups. If you're not in London and desperately want a physical copy of the newspaper, just send me a stamped, self-addressed A4 envelope at this address. Please be quick, as there aren't many copies.